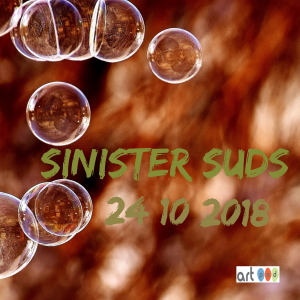 Come to our Studio by the Sea and create your own sinister suds soap! A wicked science workshop during Brighton Science Festival. We recommend that this activity is suitable for age 5 years + when unaccompanied, we are happy for you to drop and go. However if booking as a family with a younger sibling (from age 2+) an adult will need to stay to accompany younger scientists! Please book via our website, go to Book tab and then click on Brighton Science festival to see our bookings.